The whole market PayPal is operating in is affected by the network effect, and at my glance, the critical mass of users is not reached yet. 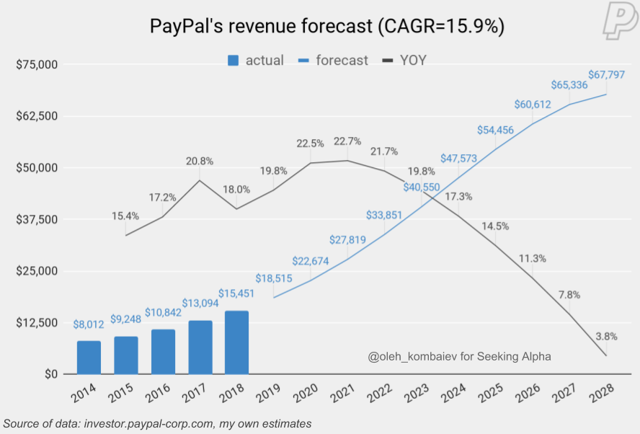 I expect PayPal's revenue growth will continue to accelerate at least until 2021, and the CAGR will amount to 16% in the next 10 years. 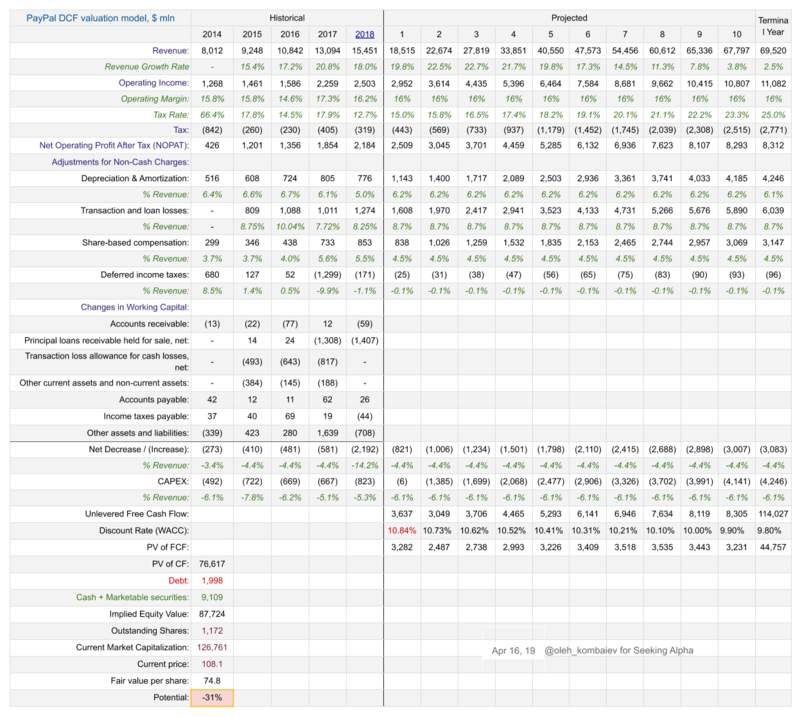 But even on the basis of the extremely optimistic development scenario of PayPal, the DCF model has not shown growth potential. 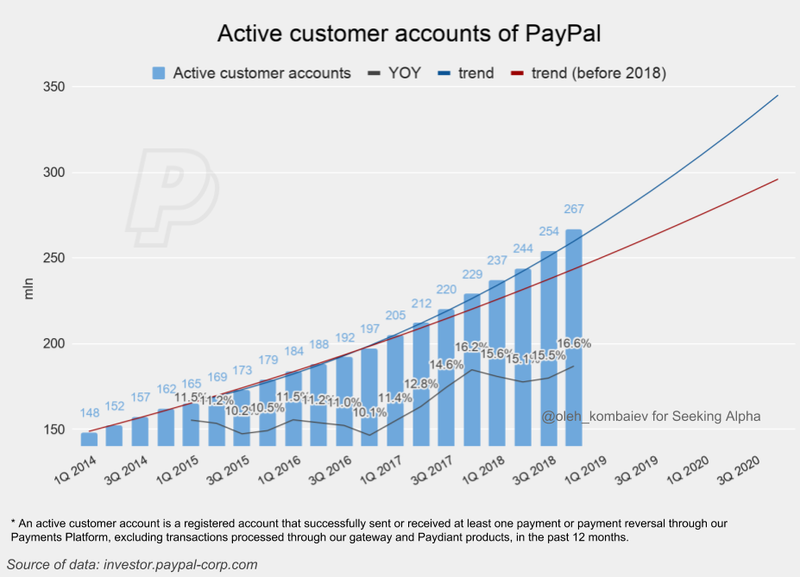 In my previous article dealing with PayPal (PYPL) I pointed to clear signs of the current overvalued state of the company. That review turned out to be so categorical that I decided to check my conclusions by building a DCF model. I proceed from the assumption that PayPal's beta coefficient will decrease in the long term. 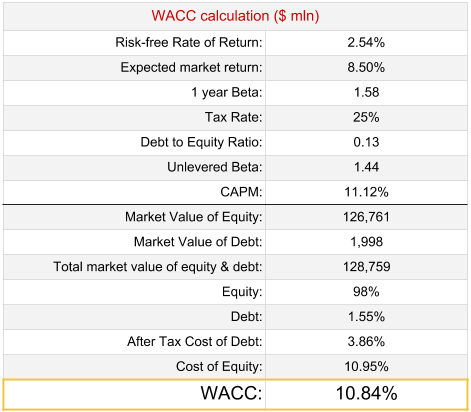 Accordingly, this will reduce the WACC. PayPal is developing its ecosystem, embedding its services in the ecosystems of other companies. 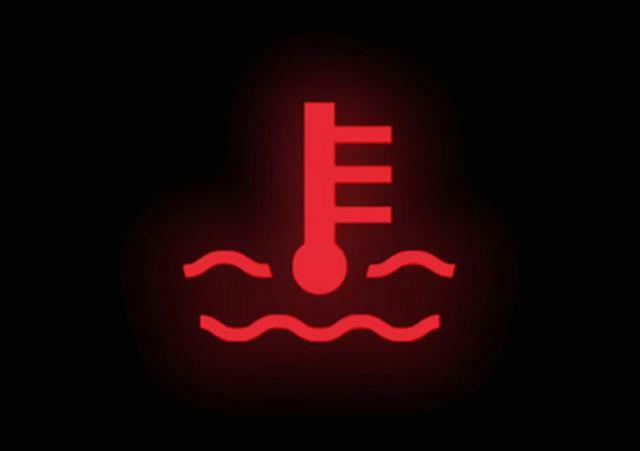 At my glance, such a business model does not, in principle, imply high profitability. Besides, speaking of a ten-year perspective, it is worth taking into consideration that the inevitable increase in competition in the digital payments market will put its pressure on the profitability of the entire industry. 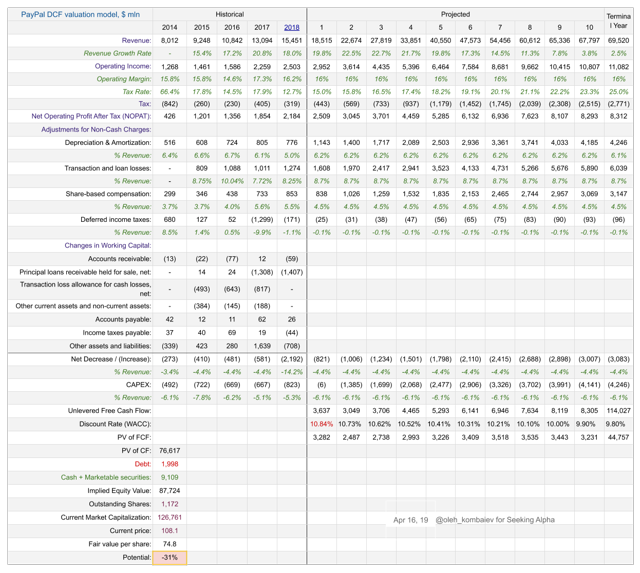 However, in the model, I ignore these arguments, and I assume that the operating margin will remain at the average level of the last five years. Further, I assume that CAPEX will remain at the current average level. This scenario can also be considered a very optimistic one. The model assumes only a gradual increase in the relative size of the tax rate to the average worldwide level of 25%. So, the DCF-based target price of PayPal's shares is $75, offering 31% downside. In its essence, a DCF model gives an approximate idea of ​​the long-term rational value of a company because the result is subject to high error. But in this particular case, it should be noted that even on the basis of the extremely optimistic development scenario of PayPal, the model has not shown growth potential. Personally, I see in this a confirmation of the fact that now PayPal is overvalued.